Walking robots are expensive but this new approach promises to reduce price tags in excess of 1 million to a few thousand dollars. The possibility of having robots that could soon assist in search and rescue missions, or deliver the groceries to doorsteps, can happen soon as a new system has been developed to bring a more affordable option to the market. 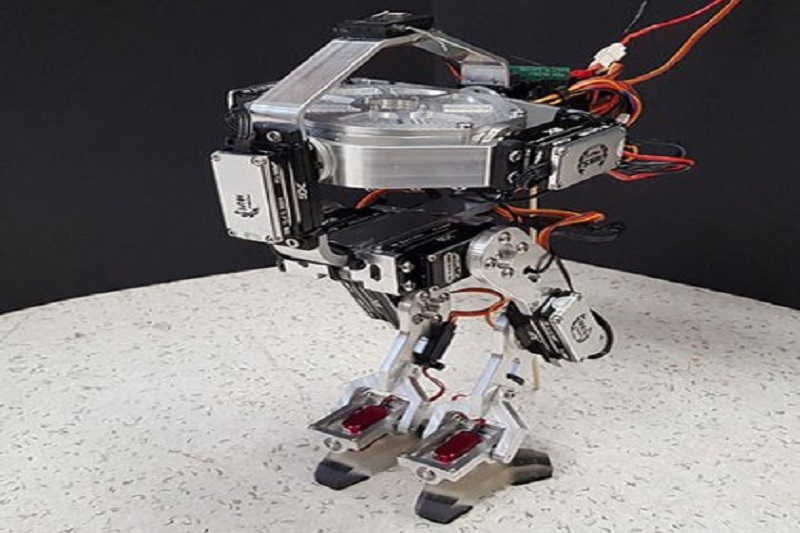 According to a recent press release, the University of Queensland’s Associate Professor Pauline Pounds has explored the possibilities of creating a simplified system to make bipedal robots more accessible and cheaper. The Professor explained how amazing it would be to be able to build the walking machines seen in science fiction and would often wonder why they were so hard to build. The ability to walk in robots is a very complex endeavour and a lot of research and funding have gone into dealing with this complexity. Famous walking robots such as those developed by big industry names are expected to have price tags in excess of one million dollars. The approach that they have developed, on the other hand, promises to reduce the cost to only a few thousand dollars. The system uses control moment gyroscopes in order to keep the robot upright, independently of where it places its feet. This allows for more affordable sensors and actuators to be used. A control moment gyroscope is an attitude control device generally used in spacecraft attitude control systems. It consists of a spinning rotor and one or more motorised gimbals that tilt the rotor’s angular momentum. As the rotor tilts, the changing angular momentum causes a gyroscopic torque that rotates the spacecraft. The team has started the project by building very small chicken-sized robots to prove the underlying science and solve engineering problems. They are doing this before moving up to larger human-sized platforms that can carry useful payloads, such as the weekly grocery shopping. From there, the robot could be sized up or down to suit the particular application and need. This could go from something as the size of a rat, up to a human piloted machine as big as a mining haul truck. Dr Pounds explained that there are complex walking machines available already. However, these are often expensive and have limited applications. A large fraction of the cost comes in providing capabilities beyond simple walking, such as off-road terrain handling. But, there are several applications such as grocery delivery, compound security and human mobility that only need to deal with simpler terrain. These kinds of applications could therefore use walking machines. The research paper of Dr Pounds, called Towards the Tiny Giant Robot – A Low-Cost Gyroscopically Stabilised Biped won best paper at the Australasian Conference on Robotics and Automation. It is the second time in three years that the lab has taken out the top prize, besting out over a dozen other Australian institutions.